This is a beginning class for kids (girls and boys) ages 7 to 14*.We will be using the book, Sew Kool 4 Kids by Martha Pullen and her daughter, Joanna. Multi-sized patterns are included with the book. The book is available at Neal’s. This is a 2 day session. 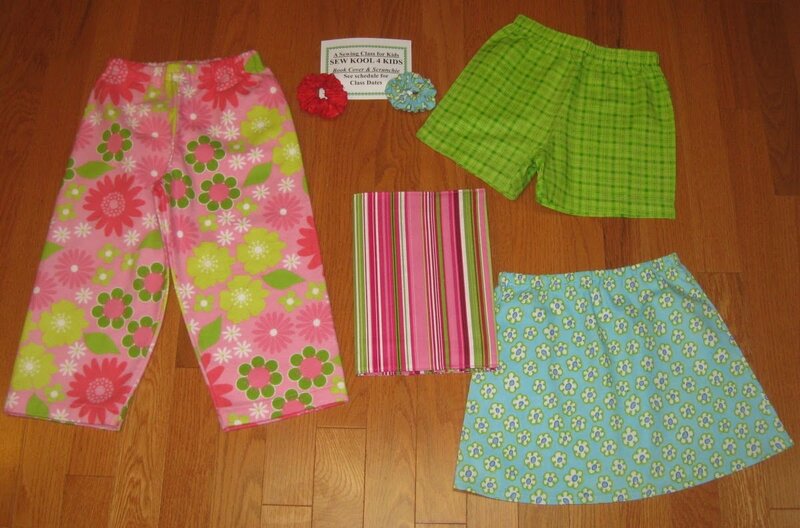 The first session, they will make a book cover and a scrunchie and start a skirt, shorts or pants. The second day, they will finish their skirt, shorts or pants. If you borrow a machine from the store an adult must accompany them, even if the adult does not know how to sew. Class Size is limited. These classes fill fast and you must register and pay in advance. Class Size is limited to 4, so sign up early! You must pay for the class to reserve your spot! Kids classes fill up fast! Please pick up a supply list at the store. Or contact the store and one can be e-mailed to you.